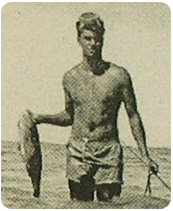 Bill Fernandez loves to talk about his barefoot days in Kapa'a, so please feel free to ask him about them! People love kanikapila (singing) as he describes his special island world in a simpler time before television, when plantations ruled. Enjoy stories about hukilau, ocean adventures,rooster fights the complicated multi-cultural world of the islands, delicious food, the movies, GIs,shamans, and storms. "E Komo Mai," come to his house. Read his stories. Mahalo and aloha! When Bill was born, it was the heyday of the sugar plantations on Kauai. His part-Hawaiian parents operated a movie theater in thesmall, multi-racial town of Kapa'a. The town mirrored the rainbow society of Hawaii produced by the importation of foreign workers to work on the plantations. Everyone struggled, all shared. This small town boy became a judge in California. Barefoot and brown as a nut, Bill's family and friends were a mix of many colors, religions, and cultures. Kids in the neighborhood enjoyed Japanese noodle soup, Chinese char su pork, poi and kalua pig. His family ancestors include Native Hawaiian, French, Portugese, German, and Irish. Marriage brought in Japanese and Philippino. The Native Hawaiian aloha spirit means sharing in a loving way without expecting anything in return. It was an ideal world on an island of stunning beauty surrounded by a huge ocean. There was little money and no stores to spend it in, so he learned how to make do. His first surf board was an old ironing board. The war years brought many challenges, fear, racism, gas masks, rationing, and GI money for shining shoes and runnning errands. Pineapple picking taught him the need to get an education. Realizing the value of an education, his family sent him to the continental U.S. after he graduated from Kamehameha Schools for children of Native Hawaiian blood. Bill graduated from Stanford University with a law degree then settled in Sunnyvale, California, where he served as mayor. Bill soon was appointed a Superior Court Judge in Santa Clara County. 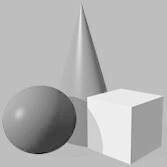 However, his success left a sense of emptiness within him. Native Hawaiians, who shared everything and never owned anything, were drowning in a new culture of capitalism and private property. His solution was to write novels depicting common Hawaiians' points of view as they struggled to adapt to changing times and politics. He recently started composing Hawaiian poetry in the form of oli (chants) even though he never spoke Hawaiian as he grew up. With his wife, Judith, he created talks explaining the Native Hawaiian history up to the modern Sovereignty movement. His oli and the slide show bring it all to life. People love his singing. Bill has served as president and member of the board of the Kaua'i Historical Society and was recently appointed by the governor to the Juvenile Justice State Advisory Commission. He also serves on the board of a family service agency on Kaua'i, Hale 'Opio and is on the board of the Native Hawaiian Chamber of Commerce. Bill presented lectures on Writing Memoirs, and Digital Marketing of Your Book at the Rose College, Oklahoma, Writers Conference in late Sept. 2013. 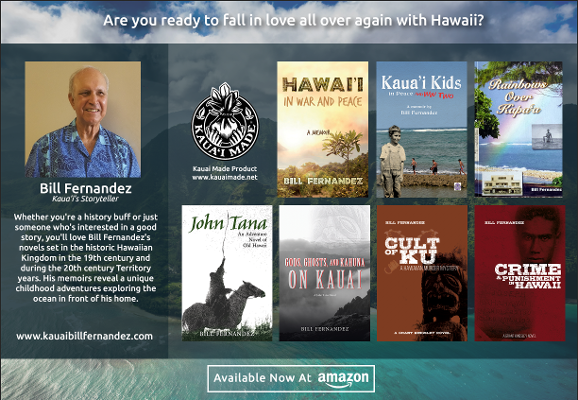 Call or e-mail Bill Fernandez Hawaiian Author in Kapaa, Hawaii, for more information about his work as a Hawaiian author.